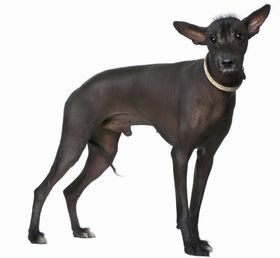 The American Hairless Terrier is still considered to be a newer breed and some of the medical conditions that may affect the breed are not completely known or discovered yet. While this breed is deemed to be healthy, there have been reports of certain types of medical conditions and diseases in this breed. Some of the conditions and medical issues to look out for include rashes, sensitive skin, patellar luxation, hip dysplasia, demodectic mange, Von Willebrand’s Disease, thyroid problems, Cushing’s Disease, and Legg-Calve-Perthe’s Disease. The American Hairless Terrier is prone to rashes and sensitive skin. Since this breed has a short coat, it is important that you watch your pup when out in the sun. In addition, you do need to keep an eye out to make sure your pup does not get into any irritating substances. If he or she does, you may notice that your pup is itchy and uncomfortable. Patellar luxation is a knee dislocation and can occur in a variety of breeds. 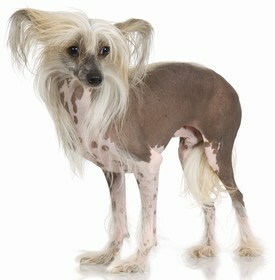 You need to make sure your American Hairless Terrier does not experience this condition. If he or she does, you will notice that your pup experiences lameness in the affected limb. This condition needs to be corrected promptly, as it can be quite crippling. Hip dysplasia is common in many breeds and occurs when there is a problem with the hip joint. 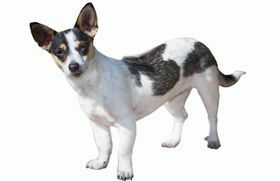 This is a crippling disease and can lead to lameness in your pup’s limbs. If your pup is affected, you will notice that he or she has trouble standing, laying down, walking, and getting up or down. Demodectic mange is a parasite that is present on dog’s skin. This parasite causes extreme itching in your pup and needs to be treated to prevent hot spots, sores, and infections. Von Willebrand’s Disease is an inherited blood disorder that occurs when the platelets are unable to clot due to a lack of protein in the platelets. Small cuts can bleed heavily because of this. Thyroid problems may be present in your American Hairless Terrier and this means that your pup may gain too much weight or may have trouble gaining weight. If you think that your pup has an issue with his or her thyroid, it is important to have him or her checked out. Cushing’s Disease is an inherited disease that is marked by the development of a benign tumor on the pituitary gland. This results in too little cortisone in the body, which can impair the normal functions of your pup’s body. Legg-Calve-Perthe’s Disease is another disease that can be passed down to your pup. This disease occurs when the head of the femur bone begins to degenerate. This leads to bone and joint inflammation that is painful. The American Hairless Terrier has a life expectancy of 10 to 12 years. 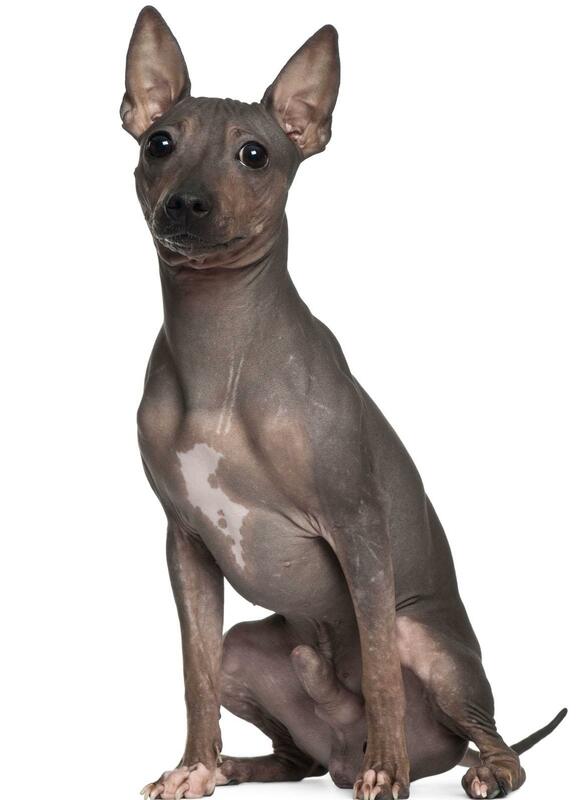 The American Hairless Terrier is considered to be a very inquisitive and curious little one. You will find that this breed does like to head off in his or her own direction and do as he or she pleases. You will need to keep an eye on him or her as this breed is considered to be a wanderer. Your pup is energetic and will like to go outside and play. It is important that you provide this breed with enough mental and physical stimulation to burn off some of that energy. While this breed is energetic, he or she is able to do well in an apartment or condo, so do not let this deter you. In fact, a couple of walks and time outdoors will be enough for your new puppy. The American Hairless Terrier learns quickly and is eager to please, so training is not a problem. You will find that your pup does have a bit of a pack mentality, but you can quickly control this if you put your foot down and assert yourself as dominant. Your American Hairless Terrier will be alert and gets along with people; however, this breed makes a wonderful watchdog and will protect his family. You will notice this breed barks a lot as well. 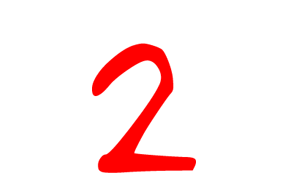 The American Hairless Terrier does well with children and is affectionate to those that he or she loves. You will find this breed keeps you on your toes, but returns just as much love as you give. The American Hairless Terrier has minimal grooming needs. In fact, this pup does not have a coat, so you do not have to brush his or her fur at all. Instead, you need to make sure that you protect your pup when out in the sun or cold, as he or she can burn up or feel very cold quickly. You should bathe your pup as needed, but this breed is essentially odorless, so you do not have to worry about it too much. When you do bathe him or her, make sure that you choose a mild shampoo. You will need to clean your pup’s ears at least once per week and trim his or her toenails at least once per month, as well as brush his teeth at least three times a week. Your American Hairless Terrier will eat anywhere between a 1/2 cup and 1 cup of dry kibble per day. You should split this amount into two meals throughout the day. It is important to choose a high-quality brand of dry kibble so that your pup can receive the nutrients he or she needs. 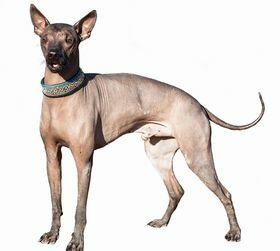 Looking for a American Hairless Terrier? An American Hairless Terrier will cost you approximately $350 to $550. It is important to make sure that you inspect your puppy and sign contracts only once you are sure you are working with a reputable breeder and that the puppy is healthy. Ranking takes into account a few basic factors including cost, skill level needed, high vs low maintenance and how critical regular training is to success. The American Hairless Terrier is an excellent choice for both home and apartment living. While this breed is energetic and playful, you will find that he or she can relax and show you love too. You need to be careful because this breed does and will dig in your backyard, if you have one. Overall, this breed will make a wonderful addition to your home. This breed ranks a 2.